This is the last part in a series of articles on Australian tourism in line with the current slogan, "Where the Bloody Hell are You?" a campaign that has been providing travel buffs an authentic Aussie experience.—Ed. Melbourne— A state news agency said the controversial campaign "Where the Bloody Hell are You?" has failed to deliver results. The ad didn't do much to increase tourist arrivals in Downunder. Basing the claim on an industry conference report, the campaign featuring Cronulla surf model, Lara Bingle, had only increased awareness but failed to bring in extra visitors..
Latest statistics from Tourism Australia, for instance, shows that most travelers from traditional European markets registered zero growth such as those from UK, Austria, Germany, or Ireland. Arrivals from Sweden and Netherlands have even marked a negative growth. Amid dismal report, however, there's a good news: South Koreans have choose to come and stay. Yes, they are indispensable; they keep on coming and, in fact, they want to stay. Visitors from South Korea remain to be an indispensable source of tourism receipts in recent months along with Italy, Spain, USA, France, Denmark, China, India, Singapore, and Philippines. On a monthly basis, for instance, Koreans registered a total number of 19,200 in September this year, up by 28 percent over the same period last year. On year on year basis, total of Koreans who visited Australia posted at 248.900 as of September this year, up by a modest 2 percent over last year's 244,300. The Aussie government has been adopting measures to ease visa burdens among travelers to give them easier access to that bloody exotic Downunder experience. Since, July this year, for instance, the Federal Government changed the Australian Working Holiday and Work & Holiday visas to allow travelers to work in one job for six months— up from three months. Study and training visas have been extended from three to four months as well. As yearend is nearing, there are yet too many things to expect—for the better. Interestingly, bloody politicians could probably do better to propel the engine of tourism growth—especially in Victoria granting the controversial ad has indeed failed. 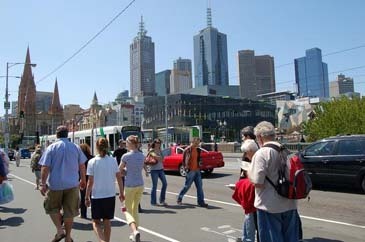 With the November 25 state election campaign reaching its feverish height, Victorian politicians had pitched in their package deal how to transform Victoria into a bloody Utopic destination. No more than Aussie's political wizard, Prime Minister John Howard has endorsed his State Party Leader Ted Baillieu to pump prime the state's economy, including tourism industry. The Liberal Party has officially launched its campaign at Kingston Town Hall, about 15 km southeast of Melbourne's Central Business District to highlight major political platform. Interrupted by intermittent applause from a crowd of 500 supporters, Baillieu promised not only to keep Victoria as the nation's sports and culture capital but to dramatically transform the state as Australia's capital of educational excellence, infrastructure, and investment—the best of Australia, as he put it. 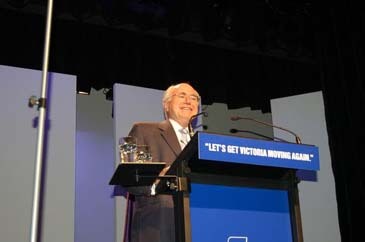 Among his investment projects will include building more trains that will link commuters to destinations like Mornington Peninsula. Trains and railroad crossings will be extended to Lilydale and Doncaster to the east providing easy routes to the Dandenong Ranges and Yarra Valley. Don't underestimate his transport plans; they link travelers closer to bloody exotic destinations. In fact, the party is keen on developing emerging destinations as well taking stock of its vast resources in the outback, including places no one has ever trekked on. Transforming Victoria as the nation's capital of educational excellence could be an excellent selling point to attract more Koreans, taking into account Koreans' craze for overseas study where they can learn in an English-speaking environment. Besides, Australia's best universities featuring world-class academic standards are found in Victoria, including the prestigious Melbourne University and Monash University, for example. Politicians are making a good point and they are doing a great marketing deal. Come summertime. Philip Island and Mornington Peninsula are on the top list of places to be visited. 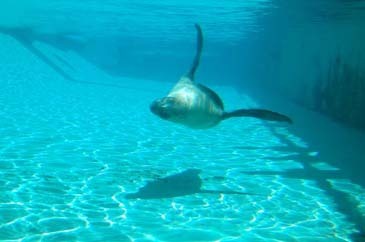 The first primarily features nature reserved and wildlife tourism. Philip Island is a sought-after destination, a place to see the amazing Penguin Parade at dusk—you bet this is a unique Aussie spectacle. Morning Peninsula, likewise, beckons lovers, families, and individual adventurers to unwind on its sandy beaches. 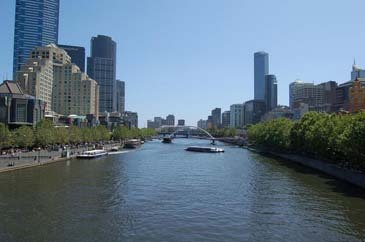 At the heart of Melbourne is the historic Yarra River. It's easy to just jump into a ferry cruise along the river. 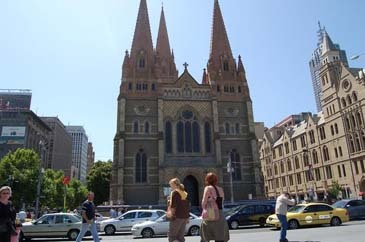 Consider also to spend an idle Sunday at St. Kilda Beach, or surf on Altona Beach. Port Philip Bay has been a blessing to Melburnians who can drop by anytime— few kilometers from CBD to view the deep blue sea. 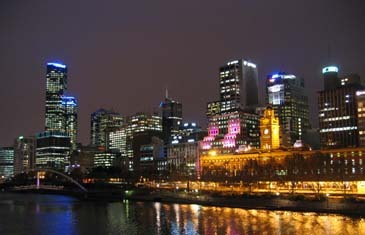 Well, this is Melbourne which is clinging to its fame as one of the world's most livable cities. The bloody ad may fade in oblivion, but for sure, Victoria marches on. Rowena dela Rosa Yoon serves as an Associate Editor & Australian Correspondent for the Seoul Times. She is a communications specialist with extensive professional experience in journalism, public relations, and corporate communications. She wrote for Manila Bulletin and Korea Herald. She has a MA degree in Communications and Media Studies from Monash University (Australia), a postgraduate degree in Comparative Literature from University of the Philippines, a BS degree in Journalism from Lyceum of the Philippines, and a Diploma of Information Technology from Victoria University (Australia). She is a current member of the Melbourne Press Club.